I occupy a strange position in this community. I broadcast / livecast a number of things that relate to local government and community events. Which means I’m at every City Council meeting and almost all the Flood Recovery meetings as well as other events the community is invited to. So if you missed it you might still be able to take it in courtesy of me. This article is about one of those encounters. I was contacted by a citizen in our community who has a set of ideas about how to deal with the problems our community (and others) face regarding individuals experiencing homelessness, drug addiction and mental health. She calls her plan a ‘Community Courtesy Circle’. I’ve talked with her about this – I told her I felt it was too ambitious for our little town, that the forces of nimby-ism would rise up against it, that risk-averse political entities would throw regulatory road blocks and hurdles in it’s way and that a larger community with better (and more) resources would be a better fit. In spite of all that push back from me she’s still willing to push forward to see if it gets any traction, yields any forward motion. After thinking it through and talking it over I’ve decided that the least I can do is help get it out there for all of you to read and maybe it will help in some way. Given all the negative rhetoric and unrealistic suggestions being bandied about in the social media echo chambers I offer you something trying to be a way to a solution. You may or may not agree with any of what follows but remember no one is forcing you to do anything. I’d ask that you try to approach it with an open mind. The issues of homelessness and drug abuse in our present situation gifts us an opportunity. Equality, inclusiveness, and sustainability are spoken of often. Principles frequently overlooked when addressing these two issues. The Community Courtesy Circle may challenge beliefs. Please allow initial reactions to settle, and consider how this suggestion may work. It is an endeavour to be a long-lasting solution, an arrangement to address current issues. It consists of many offerings, and can be implemented in whole or in part. Included is information to allow a sense of how these would work. They compliment each other to address large issues. The rationale behind aspects important to its function are also included. The details are open for discussion & determination. Most courtesies could be done quite simply, if bureaucracy is kept to a minimum. Much more can be said about homelessness and drug use, complex & complicated issues. A better understanding of what people whom are experiencing these go through, would be beneficial in coming up with a suitable manner to address them. If your life has not been directly touched by fentanyl, consider yourself blessed, but not immune. Without exploring this topic, it’s important people recognize how hard an opioid addiction (in particular) is to face, and how long a body itself requires for the healing process to take. It is a difficult challenge for them, their families & friends, and everyone working with them. All of these people are affected and need our support. Furthermore, if anyone is to be freed from any addiction for a length of time, it needs to be of their choosing. We can help by creating an environment suitable for so, and encourage people by making them know their welcome, accepted, and valued in our community–not just with our words, but in our attitude & actions. Much has been being done by different levels of government, organizations, and individuals in an effort to address both homelessness and drug use. This is excellent, but everyday people need to know how they can help as well. The approach of the Community Courtesy Circle differs from the conventional direction pursued by increasing regulations to control or restrict others, their actions, or to give further consequence for so. Which often results in a loss of rights, a diminishment of freedoms, and has not been an effective remedy. While the real issues continue—or worsen. Some may find this idea to be naive. I ask you to gently quell the skepticism and cynicism so prevalent in today’s society, and consider its possibilities and the spirit with which it was written. 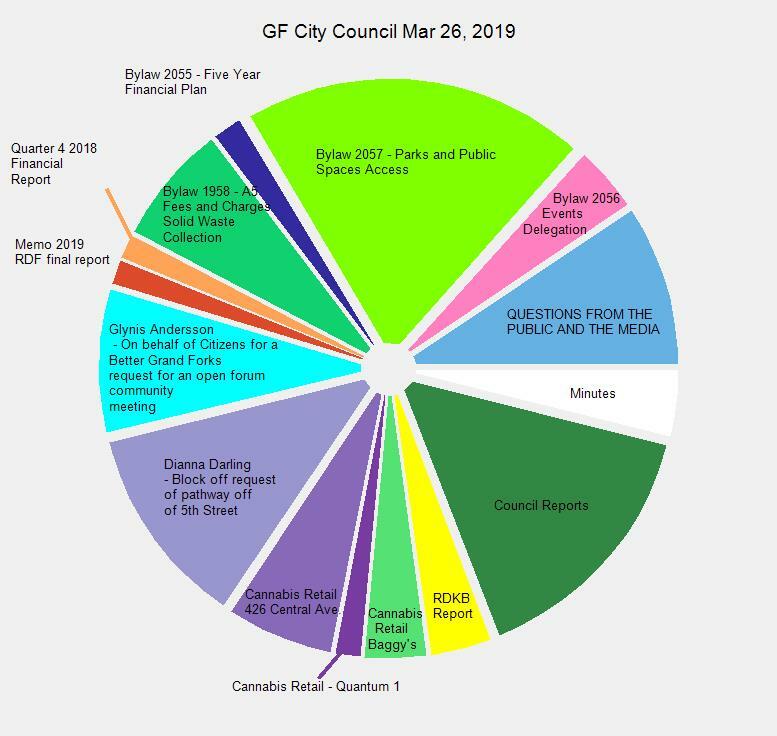 If others have suggestions, please share them with GF City Council and our community. We have a chance to do something different, that reflects the heart of who we are, and improve our lifestyle for ourselves and future generations. In an endeavour to address the issues we are facing at this time, I am suggesting the development of a “Community Courtesy Circle”. It’s an attempt to balance people’s need and concerns in the present, while maintaining our well-being and rights & freedoms as much as possible in our community’s evolution. It consists of a variety of components. Any parts implemented could continue to be used in some capacity once other shelter or housing is available. Each would have simple guidelines regarding use, while some would also carry reasonable rules and fair disciplinary measures if not followed. “Courtesy Camp” — We begin with having a number of tents supplied as a courtesy offering for homeless people to utilize on a night-to-night basis. Having them provided & set up in a single, central location within City Park (unless flooding or when another shelter is available) makes them easily accessible and easier to manage. It ensures a tasteful appearance and eliminates the burden of the otherwise necessary constructing & dismantling each evening and morning. Most tents would be individual one-man tents, with a couple family sized available. The night-to-night basis, will allow for safety checks & cleaning to be done, and would make the tents easily movable for yard maintenance. Access from 10 pm – 8 am includes the check in/check out procedures for people utilizing this service, hereafter referred to as “tenters” within this document for the sake of clarity. Noise levels and disturbances to other campers and neighbours may be kept to a minimum by simple rules beginning with the check-in hour being 10 pm – 11 pm (may need to be 1 hr. before sundown). After which (11 pm), tenters would be asked to occupy their tent through the night, except for necessary bathroom trips. The morning check-out time, 7 am – 8 am, would apply unless special circumstances such as working an early shift for example. These sorts of circumstances would need to be discussed prior and care taken to maintain the quiet atmosphere. Any vehicles used for these, such as tenter’s vehicles leaving, or having their rides pick them up should be done a fair distance from the park area unless after 6 am. If a tenter leaves the park’s property between the specified times (unless previously arranged or for perhaps a designated smoking area), they will be denied access for the remainder of that night. No smoking, drinking of alcohol, or drug use is permitted anywhere on the property. Violations would result in a revocation of access of the service for a specified amount of time. The exception would be medically necessary substances. In this case, the tenter would need to disclose this information prior to tenting and be discreet. In the event of consumption or intake prior to arrival, access would be based on the “keeper’s” discretion. Other matters could also result in a loss of access to tenting, and perhaps other courtesies, for a designated amount of time reflective of the severity of the incidences. “Courtesy Keepers” — These are people whose role is to assist the tenters primarily. The current campsite manager is to mainly serve those in the campground and tourists. A single “courtesy keeper” is to be available throughout the daytime along with the campsite attendant. While having two “keepers” on a night shift allows for a greater level of safety for the campground customers, tenters, and the keepers themselves. They’ll have a whistle or noise-maker, bear spray, flashlights, walkie-talkies, and be carrying cell phones in case of emergency. They’d also have consistent & open communication with the RCMP. In addition, they should be familiar with administering Naloxone if the need arises. Shifts could overlap allowing for a smoother & shorter check in/check out time. Together, in coordination with the campsite manager, they’ll cover each other on breaks, aid in watching over the park, promote our community, and assist visitors with its courtesy offerings. Further items of discussion could include shower availability or access (if not on-site, then perhaps aquatic centre about 7:30 am) provision of cots/air-mattresses and bedding, and their then needed maintenance. There is no set kitchen area, available coolers, or provision of meals listed either, nor any laundry available for individual’s use. Common areas for everyone within the park could also be easily created by providing two awning-covered areas for shelter from the sun & rain; two picnic tables or folding tables for one, and 24 folding/stacking chairs with possibly a gas/propane fireplace for cooler times for the other. “Courtesy Lockers” — The purpose of these would be to safeguard homeless peoples’ belongings for a limited time. A simple storage locker on-site, with a couple sets of free-standing lockers (or lockable, individual storage areas) set inside would probably suffice. It may also be used to hold any other stored “courtesy items”. “Courtesy Parking” — This would be an exemption for homeless peoples’ vehicles from the applicable by-law. As well, in an effort to keep noise levels down throughout the night, vehicles should remain parked until 6 am. “Courtesy Bicycles” — Supply a variety of bicycles & helmets for use by visitors to the park. May be used to utilize the BMX track, the trails, sightseeing & puttering about the town for leisure. Tenters would also be able to utilize them for appointments and access to other services. To be used on a sign-out basis; GPS locator; equipped with a lock; and several bike stands throughout the area. “Courtesy Conveyer” — A van/minibus to use with the purpose of a shuttle for people to have easier access to showers; for carrying bedding to launder; and perhaps as transportation for particular events, performances, or to shuttle volunteers for community gardens, gleaning fields & orchards, etcetera. “Courtesy Capabilities” — We utilize the park as our temporary community centre with “Courtesy Capabilities”. These would be open to everyone. This would include free (with donations welcomed) performances, sports, arts, culture & entertainment events implemented by individuals, businesses, and organizations. Taking part in this feature would also promote awareness of businesses and services with very little cost. Some offerings already available that are usually held indoors could be done in the park. We could also have a volleyball or badminton net set up along with the related equipment, frisbees, croquette, bocci, lawn bowling, etcetera. Classic board games as chess, checkers, and backgammon etc. could be available as well. We can also make an effort to visit the park and take in its beauty, read a book, do a crossword, sketch, play an instrument, or simply chat with another. “Courtesy Communication & Calendar Board” — Everyone would be welcome to use this board to post if they’re looking for volunteers or needing assistance with anything. Those wishing to lend a hand can easily find where they could contribute some of their time and skills, or make a posting themselves offering the skills and talents they’re willing to share. This could also have a calendar area where anyone planning to hold a “capability” would post as well. These could be many things, for example: yoga, tai chi, runners group; sand-art, storytelling, or a campfire sing-a-long; healing, prayer, or meditation circle. If a “tenter” is interested in volunteering with this area, it could be arranged they assist with the upkeep of the calendar board, distribute flyers and communications, and assist those hosting a capability with equipment etcetera. This proposal doesn’t have to encompass all of the above listed features for it to be of benefit. It’s success however is dependent on a few things. First, is a willingness from everyone involved to consider matters pertaining to other groups, and fairness while deciding particulars. The terms of the courtesy camp will need to be attractive enough that homeless people will choose to utilize it. It also needs to be done in a way that doesn’t infringe or intrude on other park users and the neighbouring area. Care also needs to be taken when placing items within the park for aesthetics, and to allow different groups and individuals some level of privacy. 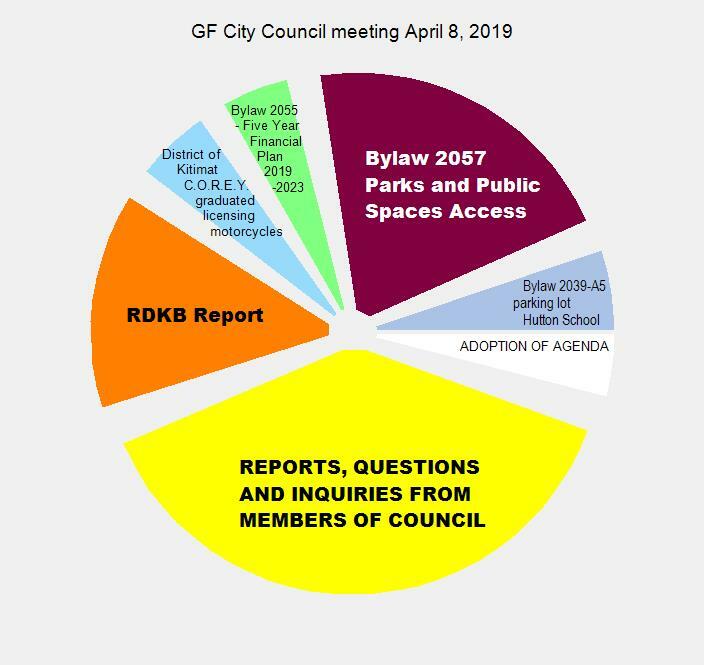 The idea is to maintain the beauty of our parks & trails, and further enhance and expand many of the activities & events that take place in our community. Second, is the opening of a harm reduction centre and safe injection site. I suggest it be located in the same area of town as the existing health clinics. The purpose of these is not to encourage drug use, but to have a safer environment for existing usage. Harm reduction educates and assists people in ways to be safer in what they do. In regards to drug use, it’s not limited to some of the homeless people on the street, nor young people. Many times they’re employed, sometimes considered to be professionals within their respected fields. For some it may not be an everyday use, but an occasional usage. I would suggest on-site analysis be available, where people can have a drug checked prior to use without legal repercussions to the individual accessing the service. Often times drugs may contain other substances not sought by the individual, such as high amounts of meth or the presence of fentanyl. Drugs such as MDMA/Ecstasy and cocaine can easily contain varying levels, sometimes very high percentages of meth. Fentanyl may be found in a wide range of drugs including the before mentioned items. As well as: marijuana, heroin, crack, and other synthetic drugs like “bath salts” and LSD as other examples. Worse drugs are almost certainly on their way, one being warned about is Carfentanil. The safe injection site allows for proper disposal of needles and a quick response in the event of an overdose. These places are based on prevention, and provide people with supportive relationships and information on resources available for them (such as treatment options) when they feel they are ready to pursue them. Addicts can recover. People whom receive kindness often wish to give-back at some point in time as well. The third area necessary for this idea’s success, is a reliance on funding and donated items, time, and skills. Some of the courtesies may require a monetary implementation, perhaps by way of grants, sponsors, organizations, businesses, or individuals. If paid positions are required, I would imagine we’d hire locally. Much could be done through donations of items from business owners and community members. If items or materials are needed to be purchased, we could buy them from our local businesses. Many contributions could be made with everyday people’s time, talent, and skills. One does not need to hold a licence, certificate, or degree to be able to make a difference, just the desire. We can all share in someway by doing what we can, and support each other moreso by participating in the “capabilities” held at the park. It is an essential aspect to the “courtesy circle’s” function, and could benefit everyone on an individual and collective level. Our community is filled with amazing, creative, caring, resourceful, generous, intelligent and innovative people. There has been wonderful endeavours made by organizations and individuals in this town already, offering incredible services with amazing staff and/or volunteers. People exhibit kindness and helpfulness in small gestures or acts everyday, making it a nicer place to be. This Community Courtesy Circle is an investment in inclusivity of all people in our community. By doing so, we create a space and atmosphere where people are meeting their basic needs, feel safe, and unencumbered enough to begin to address other issues. By being supportive we enable people to heal their bodies and more; empower them to determine their goals, their path; and encourage them to follow their purpose and live meaningful lives. It should also be said, that this doesn’t apply solely to homeless people, or those with addictions, but this sort of approach, also heals & enhances all of our lives and future generations. By us each doing something simple, together we can do something grand in our simple, little Grand Forks. 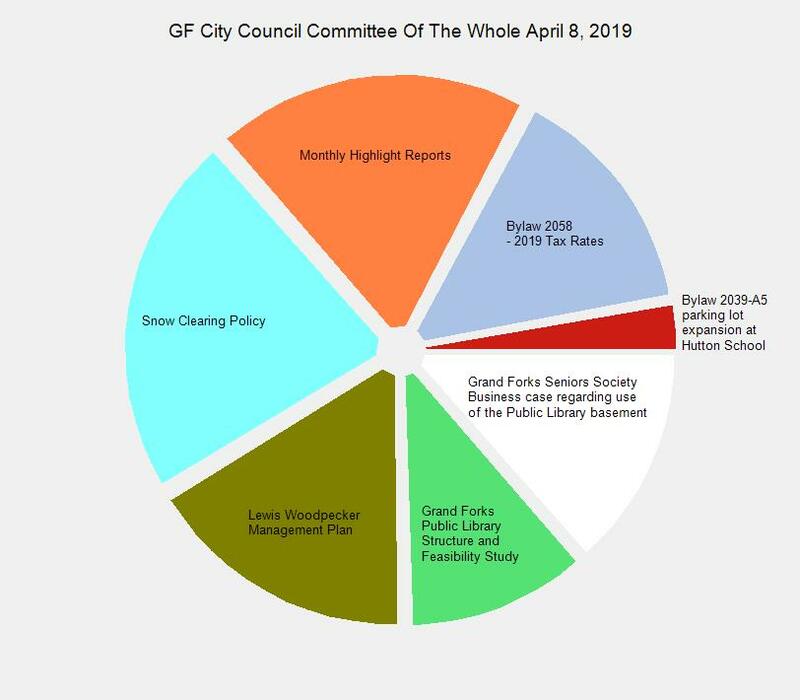 This entry was posted in City and tagged courtesy, drugs, fentanyl, fentanyle, homeless on April 18, 2019 by gftvboss. This entry was posted in Rebuilding Renewal and tagged flood, recovery on April 2, 2019 by gftvboss.